Stardate 53786.1. Seven of Nine is taking part in an archaeological expedition on an obscure planetoid in the Delta Quadrant when a disastrous turn of events puts Voyager’s away team in jeopardy—and transports Seven across time and space to Yusub, where she comes face to face with one of Starfleet’s greatest legends. Stardate 6422.5. Kirk knows better than most the danger that even a single castaway from the future can pose to the timeline, so he and Seven embark on a hazardous quest to return her to her own era. 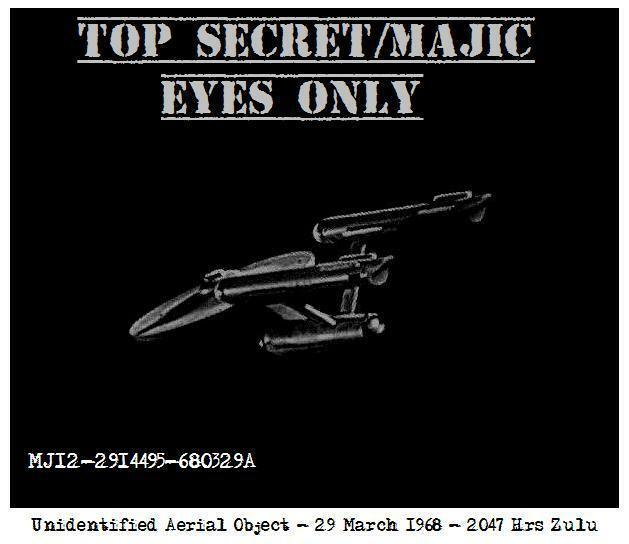 But there are others who crave the knowledge Seven possesses, and they will stop at nothing to obtain it—even if this means seizing control of the Enterprise! Having survived its first major crisis, the Federation turns to nation-building as Admiral Jonathan Archer works to bring the worlds of the powerful Rigel system into the young union of the United Federation of Planets. But factions both within the Federation and among its enemies oppose the alliance, and Archer will need all the skills of his former Enterprise crewmates to prevent them from plunging Rigel into a systemwide war. A little sooner than that, there has also been a new addition to the 2013 schedule, with a mass market paperback version of Alan Dean Foster's Star Trek Into Darkness novelization now due in October. I’d put forth in the story, which features James Wainwright as a member of the Air Force’s Project Blue Book confronting Captain John Christopher about the “UFO” he saw in the original Star Trek episode “Tomorrow Is Yesterday.” Over time, a larger tale weaving bits and chunks of “Star Trek history” in and around the Cold War, the Space Race of the 1960s and the whole “UFO/alien sighting phenomenon” of the 50s and 60s began to take shape. Speaking to TrekCore he also noted there are links to Carbon Creek, and that he sees it as complementary to the Eugenics Wars books. He also revealed a little bit about his next book, telling TrekCore that Peaceable Kingdoms, the final book in The Fall series, will have a major sub-plot for Beverly Crusher. TrekCore's interview discusses many aspects of Ward's work, well worth a read. 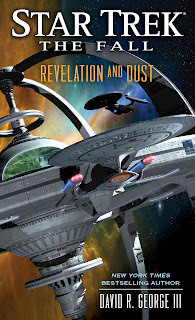 Revelation and Dust really starts with Deep Space Nine becoming fully operational. And we're going to see a celebration of that; the fact that we've got a replacement for the original Deep Space Nine/Terok Nor. The President of the Federation really sees an opportunity here, in such a momentous occasion, to continue reaching out to members of the Typhon Pact - As she has done in the past; she's had some really interestingly dealings with the Romulan Praetor, and the Gorn Imperitor, and she's reached out to them in friendship, and she sees an opportunity to do that here, so that sort of starts events in motion. 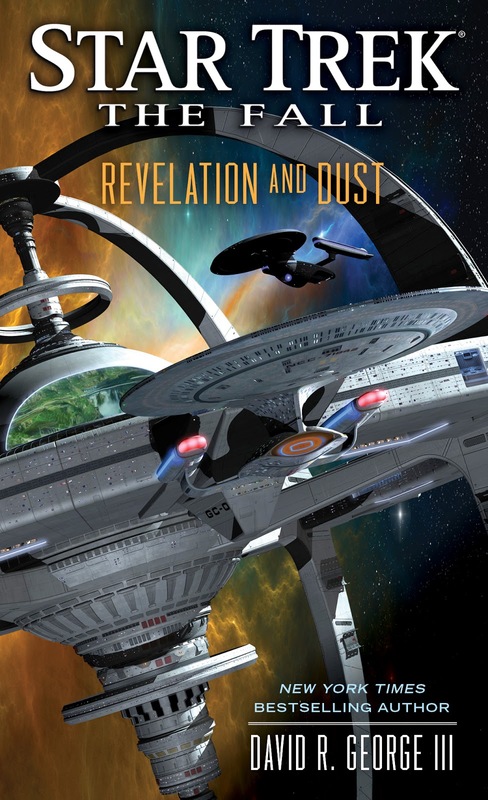 David R. George III is also writing a new book for 2014, it's not yet known quite where it sits, although he gave a pretty big hint at the era in the Trek Mate interview, stating that it's neither DS9, TNG, or Voyager, and features a captain he has written before, in an exploration rather than political focused story. He also gave a small hint on Facebook recently, noting that events will take place in the Alpha and Beta Quadrants.